It was always going to be hard for Rufus Wainwright to follow in the hallowed folk footsteps of his parents Loudon Wainwright III and Kate McGarrigle. So, to his eternal credit, he chose not to, instead forging a successful career as a pop artist, albeit with an occasional rootsy flourish. Nor did Rufus Wainwright enjoy the super-privileged childhood one might expect for the young prince of a musical dynasty. His parents split when he was just three and, despite an obvious talent for music, struggled with his sexual identity and also the consequences of a serious assault when just 14. These many experiences, those good and bad, helped shape Rufus Wainwright the musician and many of his compositions reflect these experiences and the complexity of his character. His fifth solo album, 2007's Release the Stars, was his most successful to date, reaching No 2 in the UK and No 23 on the US countdown. His seventh record, Out of the Game, is set for release here in the next fortnight and, not for the first time, features numerous guest artists including his sister Martha Wainwright. The autumn tour kicks off in Oxford on 16th November, followed by dates in Birmingham, London, Nottingham, Manchester, Edinburgh and more, before the final gig at the Glasgow Academy on 14th December 2012. The London show is at the Hammersmith Apollo on 18th November. We will have tickets available when they go on sale from 9am and 2pm on Friday 20th April, priced from £20 to £60. Ahead of the album release, Rufus Wainwright is playing London's Lyceum Theatre on 30th April and, among a scattering of other summer dates, the Bath Forum on 16th July. We have tickets on sale now, priced £41 and £35 respectively. 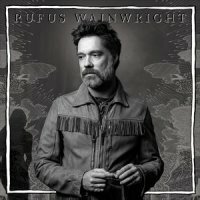 Wed 24th Apr 2019 Rufus Wainwright: All These PosesThe Bridgewater Hall (Manchester)More Info..